Do games designed for entertainment have a place in the classroom? Educational games for the classroom have been around a long time. But these aren't the only games teachers and students can use in school. Popular, entertainment-focused games also can drive deep learning. But what's the best way to use the games kids already play at home in your classroom? Here you'll find practical tips on how to harness the learning value in any game, including those you might not expect to see in school. Ready to try out some games that weren't designed for classrooms, but still have tons of learning? These resources will help you find great games, adapt them for your classroom, and wow your students. 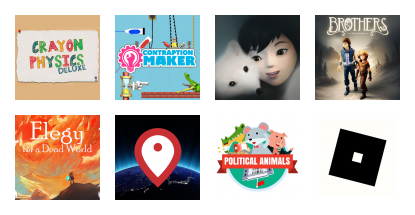 Looking for more game-based learning resources? Check out our Find the Learning in Any Game page. Games do much more than teach content. Check out these other inspiring uses for learning games. Great games that'll hook students, plus promote critical thinking and offer opportunities for deep learning. Help students learn from any game they play with this journaling activity. Check out how actual teachers have turned games -- both designed for education and not -- into compelling, rich learning experiences. A detailed look at how to use Gone Home in a high school ELA classroom. Print and Share to Inspire Others! Use Minecraft as a game-based learning laboratory. Download, print, and post these guiding principles to support a more playful classroom. You can find learning in just about any game.